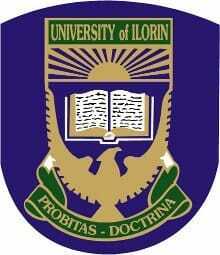 The Vice-Chancellor of the University of Ilorin, Prof. Sulyman Abdulkareem, on Friday said 103 graduating students of the institution had first-class degrees in the 2017/2018 academic session. Mr Abdulkareem announced the figure in Ilorin at a press conference to mark the beginning of the 34th convocation ceremony of the University. According to him, the university will graduate 12,108 students which will be the highest number the university would be graduating in its 44 years of existence at the convocation scheduled to take place on Tuesday. The VC, who said that 10,330 are First Degrees/Diploma graduates, added that 1,778 would graduate with Higher degrees/Postgraduate diplomas. “We also have 104 MBBS graduates, 18 graduates in Pharmacy, 49 in Veterinary Medicine and 32 in Nursing. Furthermore, a total of 25 graduates are obtaining a diploma from the Faculties of Education and Management Science. The Higher degrees to be awarded this year comprise 99 Postgraduate Diplomas, 1,287 Masters from various faculties, 162 MBA/MPA/MILR/MGIS/MPH/MHPM and 236 PhDs,” he said.